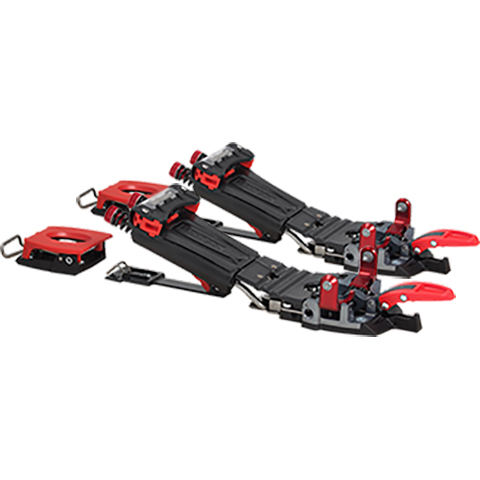 A revolutionary binding to practice freeride touring telemark, free heel, free spirit. Easy Step In System immediate positioning of the front tip of the shoe when the boot and automatic locking of the boot heel push. Touring : „Free pivot“ touring mode. Low Tech binding with the front edge of the shoe and heel free. The spring back box is fixed onto the ski and the spring box doesn’t hook the second heel of the shoe. Two heel climb of 35mm (7°) and 55 mm (13°) can be easily manipulated with the pole. Security System : the release system of the binding can be easily adjusted by using a 3mm allen wrench. The release system is independent from the tension of the shoes. Performance: Meidjo is the compromise between the power of NTN bindings (Rottefella NTN system), progressivity and the amplitude of the best classic standard 75 binding. As there is no gap in the binding you can edge immediately. Simplicity: All manipulations are done without stooping: using the poles on locks or unlocks the Low Tech system, and bare touch of a pole is enough. Active and progressive: Instant Power of the shoe with the lifting of the heel. Progressive and continuous tension on the boot. Adaptable: Supplied with two additional springs to customize the tension. Anchorage: 6 attachment points in front (low tech plate) with a pitch of 45 mm large. Weight: 800g per pair (size S), making it the lightest modern telemark bindings. Design: All elements, including the Low Tech have been designed for use with telemark primary objective of optimum reliability for the best security. Option: ResQski integration interface in the heel. 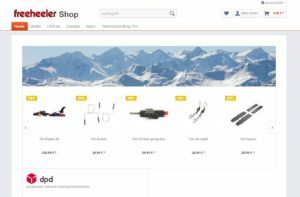 This is to date the only binding of the market to integrate a detector capable of finding skis at 30 m and within 1 m of snow. The heel protects the Tag (transmitter) while allowing visualization of its operation. The entire bracket is mostly made in France in the Alps.